Eleven-year-old Jake is dreading his new school. No one understands how hard it is for him to make friends. But then Jake meets Echo. Echo is a stray puppy, training to be a hearing dog. With Echo by his side, Jake’s confidence grows. But then something terrible happens and Jake and Echo are separated. 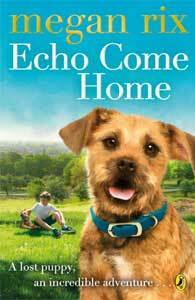 Determined to find his way back to Jake, Echo sets out on the difficult journey home. With a long road ahead and danger all around, have Jake and Echo lost each other forever?? The Echo Come Home teaching resource pack is available on the Penguin Schools Page.